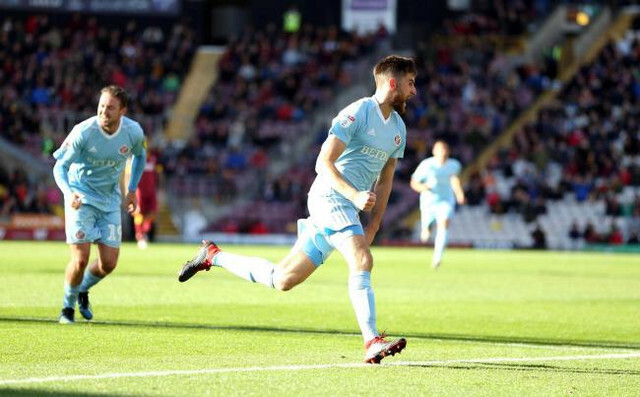 Sunderland played some excellent football to win 2-1 away at Bradford City on Saturday afternoon. Finishing with 10 men, again. Sunderland seem to be developing a terrible habit for finishing games without a full 11 on the pitch. Some games injuries have struck which forced Jack Ross' hand but lately it's the referee intervening and showing red cards. Max Power was the culprit this week for committing a foul that was all too similar to the one which saw Bryan Oviedo leave the field early against Peterborough. League One is going to be rough and the officials aren't up to the same standard as those in the championship even. But to react to players who are trying to wind you up only leaves the referee with a choice to make. Power, who is no stranger to this league and has only just returned following a three game ban, for a straight red should know better. We seem to be talking about his performances week in week out now and that can only be good for the former fan favourite (or is he back to that status now?). He seems to have regained his eye for the tackle and more often than not he's seen making late runs into the box to catch defenders off guard. With him enjoying playing his football again and Black Cats fans seeming to cautiously welcome him back into the fold, it could be a good season for Lee. Big bad Jon has been outstanding since singing in the summer and being handed the number one shirt. He proved his worth to Sunderland with another penalty save to deny Brentford following Power's dismissal, and Sunderland clung on to a vulnerable one goal advantage. The Scotland international is proving invaluable to Jack Ross and has saved Sunderland plenty of points already. Long may his excellent reign of consistency continue.